What do me and Carol Hannah the Project Runway finalist both have in common besides the fact that we're both girls? Not a whole lot (she's blond, I'm brunette; she can sew, I most definitely cannot), but we both have blogs and Etsy shops! I was reading A Cup of Jo and every Friday she lists a bunch of things she's randomly found on the internet. 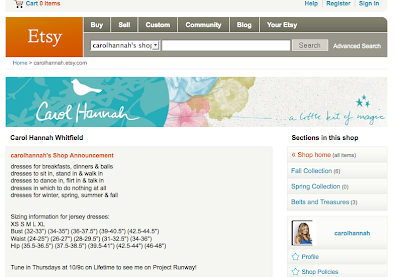 One of her latest finds was Carol Hannah's Etsy shop. Fun! I want something just so I can say Carol Hannah made it. She should have won Project Runway, her stuff is all so stinkin' cute and wearable. And then there's her blog. I love getting to know people (and celebrities!) better through their blogs and Etsy shops. Facebook and Twitter might come in handy too, but I'm not on Facebook much and I have yet to jump on the Twitter bandwagon. 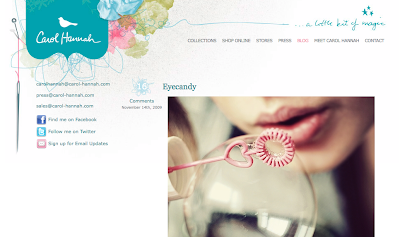 Boy what an awesome blog she has! I love the colors, the pictures, the writing, all of it. She's so down to earth from what I can tell and that's cool with me. So fun to meet you yesterday! Sorry we didn't get a chance to chat more. 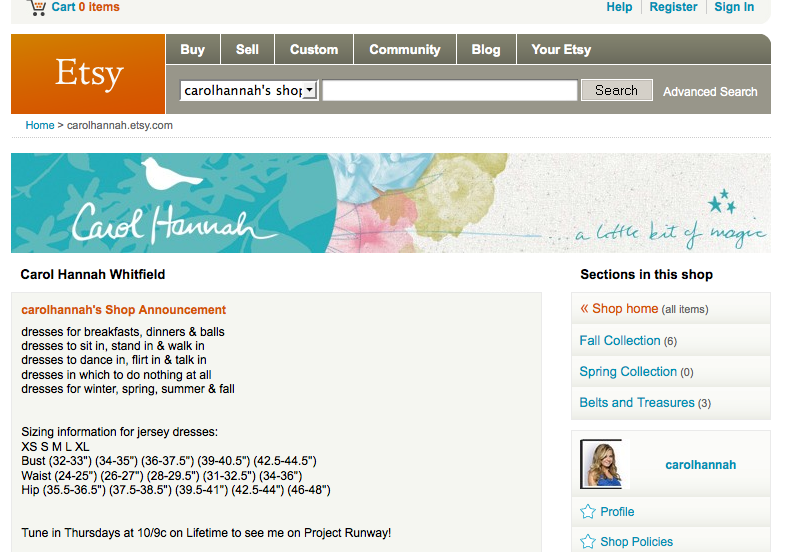 I, too, LOVE Carol Hannah's style and love that you found her etsy shop and blog. Fun! Hopefully we'll run into each other again! I totally thought she should have won. I liked her stuff way more than the other 2 girls! I'll have to check out these sites. She was so my fav. Stupid meana Irena.